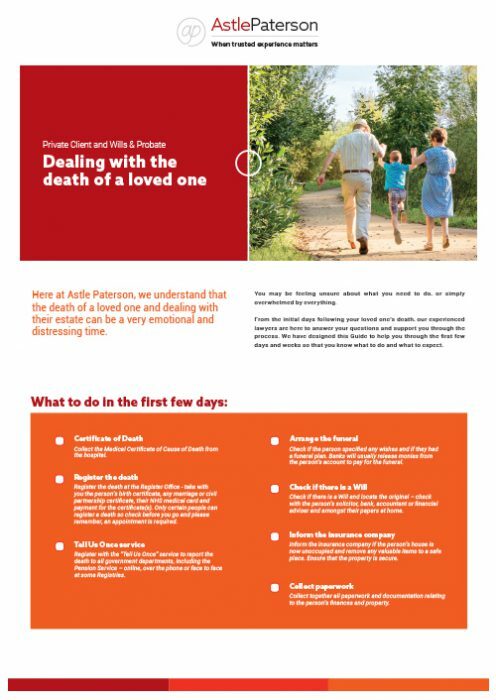 Coping with the death of a loved one can be a difficult time for anyone. We’ve created this easy to follow guide to help take some of the stress out of dealing with the administrative side of things. With a handy checklist, you can rest assured there’s one less thing to worry about.